The impact absorbing facility is the equipment installed at the dangerous place where cars crash the structures on the road, such as road junction, pier, highway’s ramp. Absorbing the car’s impact energy to stop the car or correct the car’s direction, it is the safety facility which makes the car return to the running lane in safety. The Shindo Crash Cushion System(CCSI) is designed to protect motorists in vehicles from 900 kg to 1500 kg from roadside hazards. 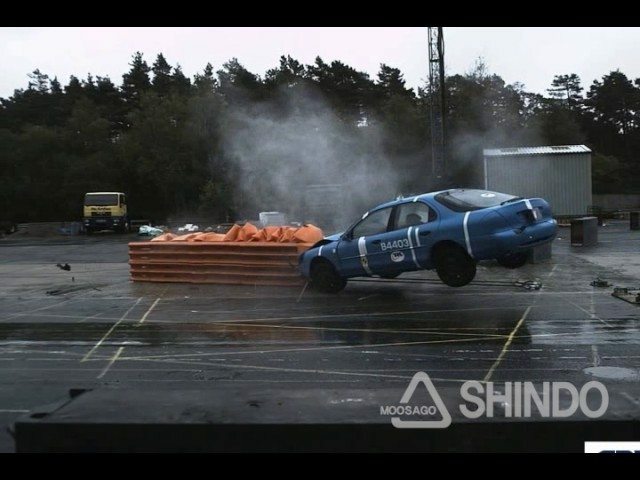 The Shindo CCSI has been tested in Europe as a redirective crash cushion to the maximum 110 km/h using 1317-3 standard. To fully comply with the definition of a System Type tested crash cushion, the Shindo CCSI has been further tested at 100 km/h, 80 km/h, and 50 km/h.